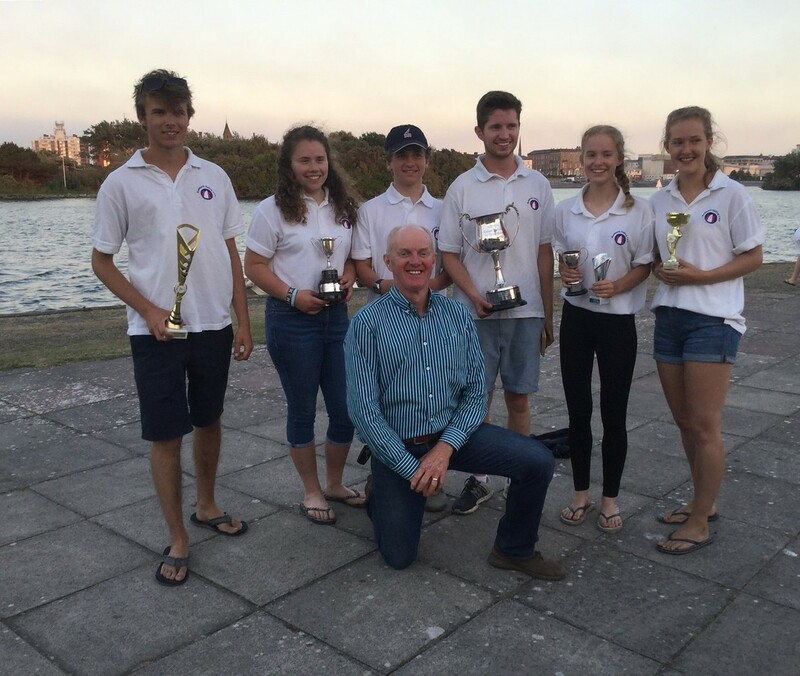 On the 30th June, a team of seven youths from Budworth made up one of 23 boats who descended on Southport to compete for the title at this year's junior 12 hour race. 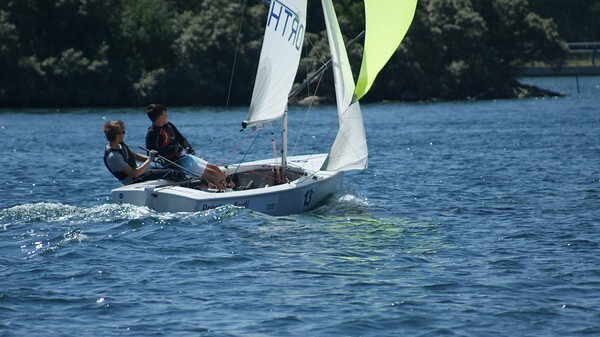 After last year's honourable third, they were anxious to get on the water. With an 8am start and despite the shifty, offshore wind, Nick Devereux and Matthew Williams expertly managed the downward leg to find themselves second to the first mark behind an Enterprise. 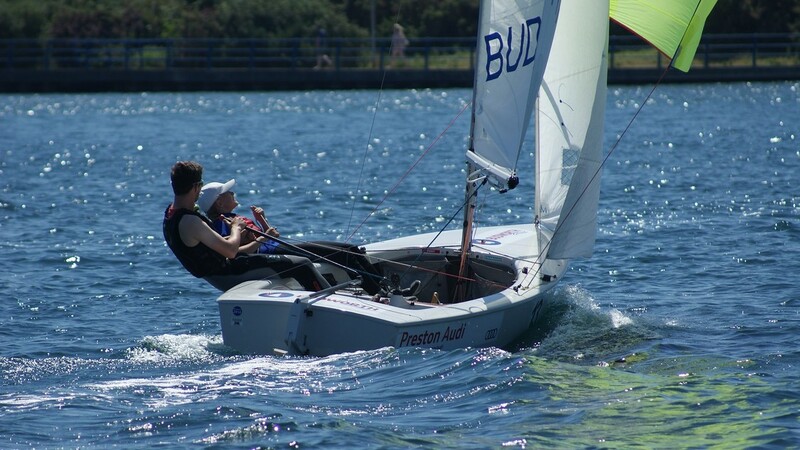 This set the pace for the rest of the day as Annabel Page and then Charlie Whittaker with their able crews, Michaela Attfield and Ryan Hart, maintained a position in the top three. Meanwhile a crowd of upbeat Budworth supporters, including the rest of the team, cheered tirelessly from the shore while enjoying the 30?C heat. Recognition goes to Emily Page for bravely (and successfully) crewing a GP14 for the second time and tackling the spinnaker with strong prowess, turning out to be as much a clear-sighted crew as she is a fast helm. 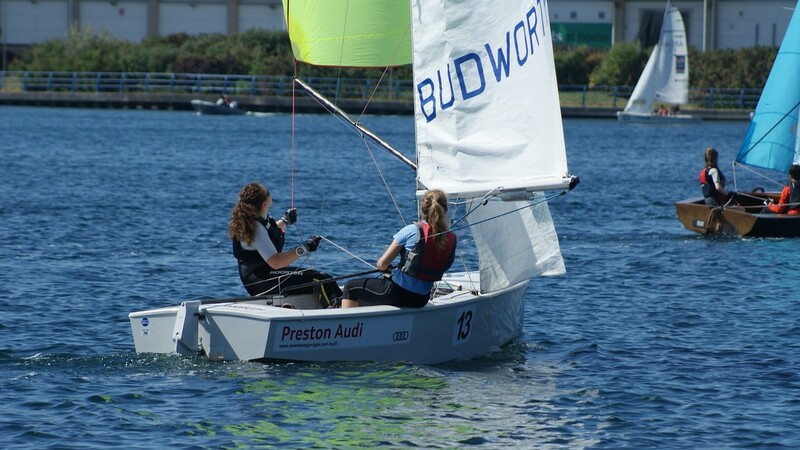 As the wind started to build, the positions on the water were much the same except with Budworth holding a strong lead in front (with the gap steadily increasing) and last year's close rivals half a lap behind. When the finish was in sight, Nick again sailed us home, welcomed by the biggest cheer of the day as they crossed the finish line in first place with 58 laps in total and a margin of 9 seconds (average lap time) from second place! In second place was Southport S.C. and in third was Enterprise Association. Throughout the event, not only were the champions awarded a trophy but a number of spot prizes were awarded to achievements such as fastest lap at midday, or fastest lap held by a lady helm. This year the award for the fastest last two laps was also awarded to Budworth. Special mention goes to the unforgettable coaching of Bill Kenyon (team manager) and all the effort and time that he put in to training and preparation so that the day itself was very much enjoyable and rewarding. Also, a mention to everyone else who came to support the team that day. Not forgetting the much appreciated surprise of takeaway pizza, chips and chicken wings to really celebrate while watching the sun set on a memorable day. 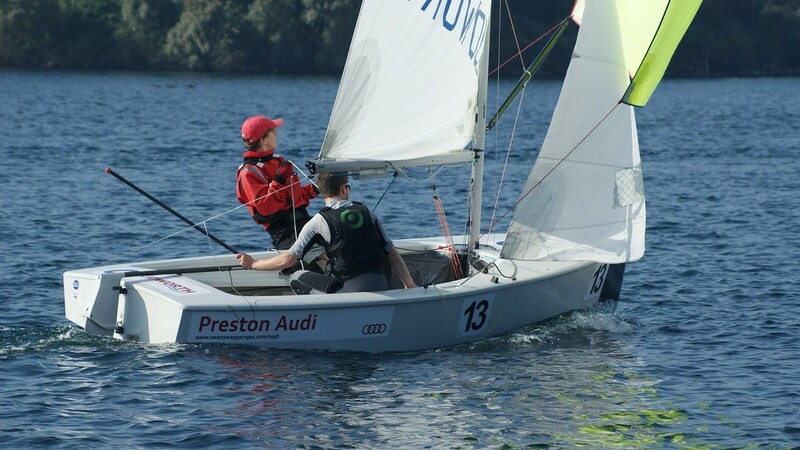 Once again we are very grateful to our sponsor, Preston Audi, for their continual support and many thanks to Southport Sailing club for hosting the event- see you next year.